Specialist in paediatrics and neonatology, Head of the Department of Neonatology at the J. Gromkowski District Specialist Hospital in Wrocław. Through a competition appointed for the post of the Head of the Department in 1990; currently he holds his fifth term. 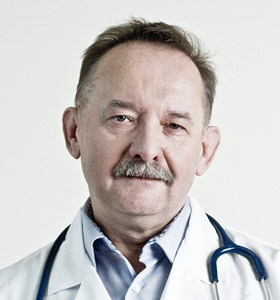 For many years he has been a member of the Polish Paediatric and Neonatal Society. Teacher and mentor of many generations of doctors.